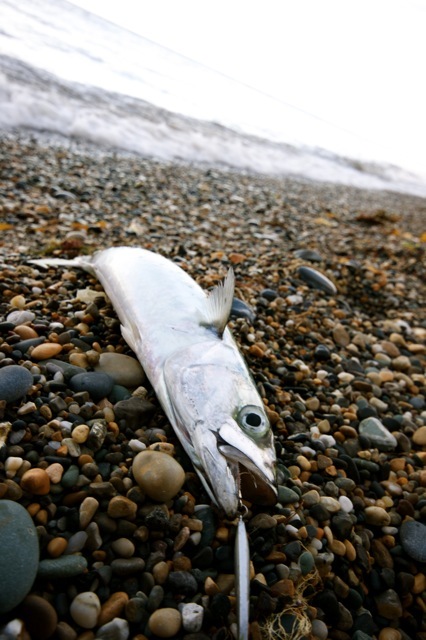 So what originally started out as a search for a bass or two, ended up as a mackerel bashing session. A combination of less than ideal weather, tides, weed, seals and even electric shocks all contributed to a lack of the silver fella’s. 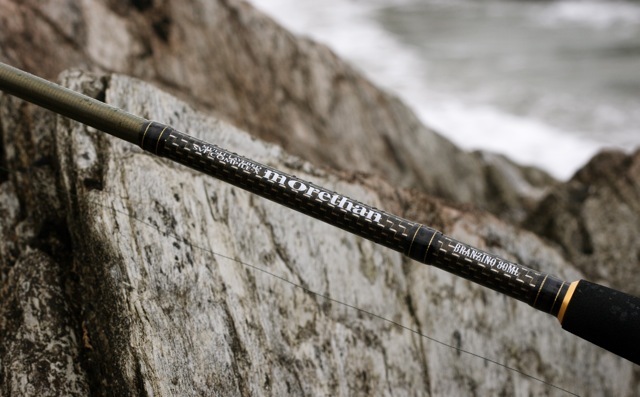 To be honest the main reason i went out was to try and christen the new rod – and what a rod it is. 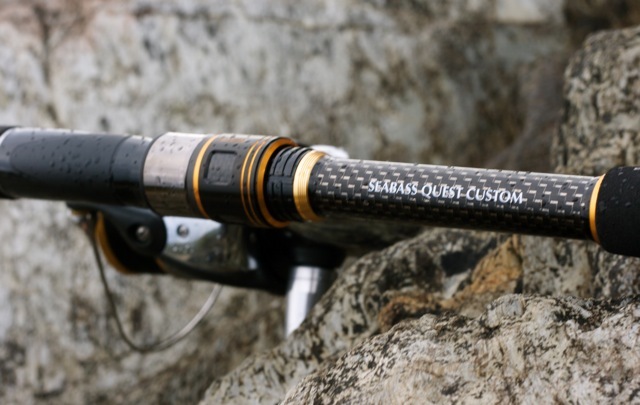 I have always had a soft spot for Daiwa’s high end rods, from the old Whisker Kevlar to the AWT beachcasters. There’s clearly a huge amount of thought and technology that goes into designing these rods, giving them their incredible action. They’re nothing like a lot of the generic blanks found on the market that are churned out of factories in the Far East. 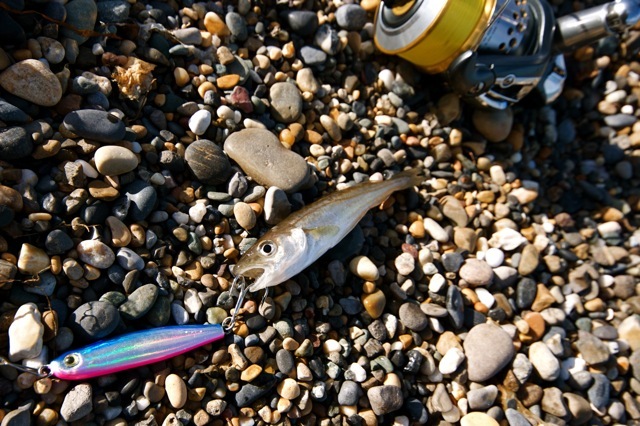 Unfortunately the vision i had of spectacularly opening the Branzino’s account with a double figure bass was soon dashed when this little whiting came ashore. Oh well! 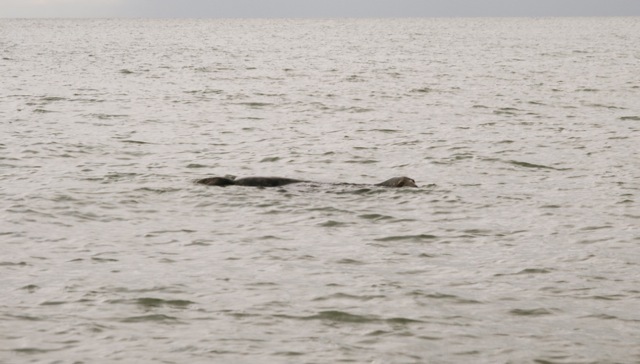 The conditions didn’t exactly instill a lot of faith in me to keep plugging away at the bass, and when i spotted this seal laughing at me from about 20 yards out i said enough was enough. 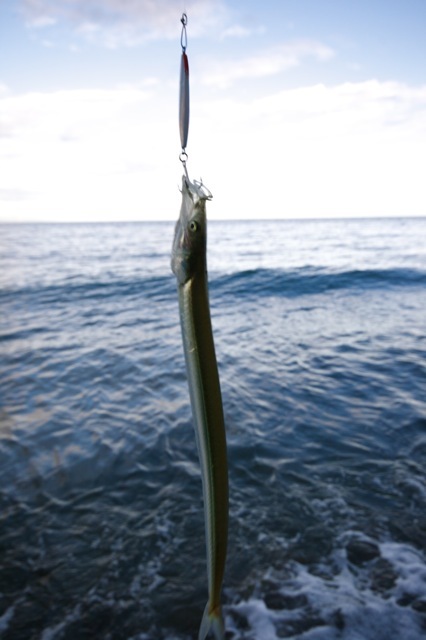 I put on a little metal lure and had a bit of fun with the mackerel. The reel was soon screaming as i hooked fish after fish, including the occasional launce. It was good fun in the end, but i’m getting itchy for some quality bass fishing. The two weeks i have booked for Kerry can’t come quick enough. This hasn’t been helped by the bag full of shiny new lures which arrived from Japan yesterday, which are currently looking at me from across the room! 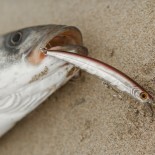 This entry was posted on August 9, 2011 by steve and tagged bass fishing, daiwa branzino.